This is undertaken by all soldiers in the army every year, but this was to be our first. My shooting has been on a bit of a rollercoaster. Some days I find I do quite well and others not so well, leaving me a little concerned about my today, so, as I was in the second detail I just sat and watched the others shoot. This gave me a good chance to see how it all worked and in what order. I was rather nervous when I started my ACMT, I messed up 300m and also 200m. I had managed to compose myself by the end of the shoot and passed the 100m and 50m. Disappointed, but I knew I had to perform well in order to pass the re shoot. I passed both the failed distances second time round. Not what I really wanted; a first time pass would have been nice, but at least I passed in the end. The end of the week we had our output TAB; the first four miles as a squad, at around four miles an hour, then the last two miles where our best effort. We were able to run or TAB and I knew I could pass it just tabbing, but I wanted to get a good time. The first four miles were steady, with a bit of running to warm us up and then we were on our own. I ran the first mile, then a combination of tabbing and running for the second mile. We had 30 minutes to complete the two miles and I achieved a respectable 18 minutes, 11th in the troop. I was very pleased with my result. Apart from having to re-shoot a couple of distances in the ACMT, this week has been very enjoyable. I have crossed a few more tests off the list as I move ever closer to the end. 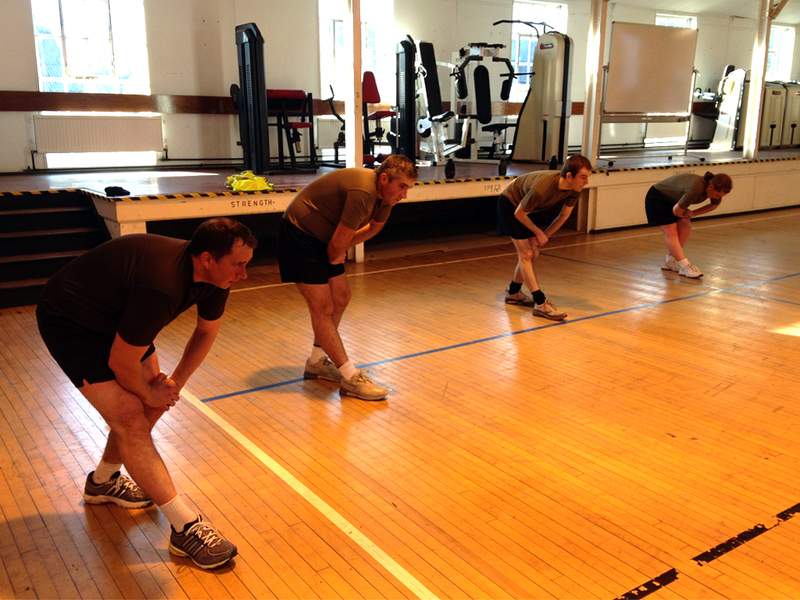 This is the last Exercise we complete at Pirbright. This is what we have to look forward to next week, but first we had two days this week in the FOB. This gave us a chance to experience life in a FOB, working the gate and stagging on in the sanger. We had a few lessons on various procedures to follow while on sentry duty on the gate and how to react when you come under indirect fire (IDF). 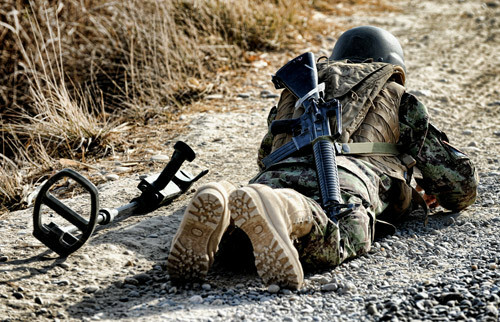 This rather amusingly meant when the Cpl let a dummy one off we had to lay face down in the gravel, arms tucked in; it looked like we were all playing ‘dead fishes’. 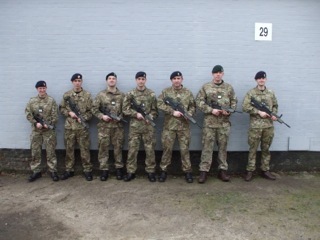 We also had our photos taken, our Section, with Cpl Verth in the centre flanked by us. This will definitely make a good Christmas present for friends and family! We had a live Fire + Movement assessment on the Tuesday; moving down the range one bound at a time then taking shots at electronically controlled targets. As a section we had an inspection first and one of us got picked up for not having a clean barrel, not too bad though. 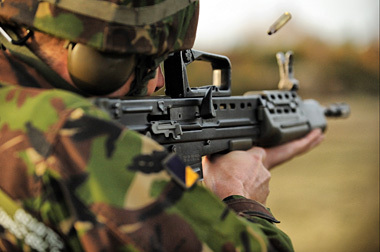 Once the inspection had taken place we commenced the live firing part of the competition. We did well as a section, but unfortunately we didn’t win. We were a respectable 2nd out of the seven Sections taking part. Wednesday and Thursday we had CBRN practice and then practical test. 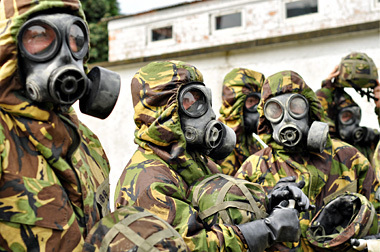 We had been taught various drills to be completed in a CBRN suit and a respirator. We had a practice on the Wednesday and it went well. The CS gas still stings a little, but this time we didn’t have to breathe it in or open our eyes, so no ‘funny’ photos this time. Thursday test went well, did my drills as practiced and more importantly I didn’t panic! The end of the week we had our Counter IED (C-IED), practical and theory. These lessons we’ve had on C-IED are some of the most interesting and I quite enjoy them. We had our practical first; been able to spot possible IEDs and also markers and then we had our theory test. 2 Section had all rigorously revised so the test was relatively easy. The highlight of the week had to be our day release. This is where you are allowed off camp on a Saturday afternoon. I didn’t have any money, but the lads in 2 Section kindly offered to put a couple of pounds in each to help me out; that’s what mates are for! We enjoyed an afternoon in Guilford, wandering about in and out the shops. More importantly we had time to go to Nando’s for dinner! 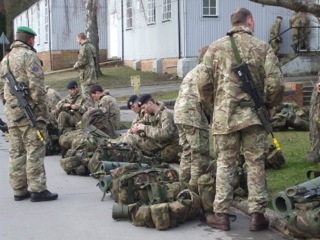 It was nice to be off camp and chill out for a bit, especially as we have Exercise FINAL FLING next week! This was the week we would embark on Ex FINAL FLING; this was to be our last Exercise; a culmination of all the skills we had learnt in the last 12 weeks. I was apprehensive about FINAL FLING, mainly because of the rumours you hear from Troops ahead of you. 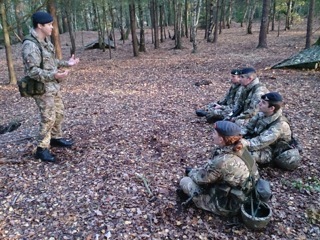 The Troop Commander briefed us on the situation in the area, enemy and friendly positions, strengths and weaknesses, all designed to add a little realism to the Exercise. The weather was abysmal; the rain was bouncing off the ground and flooding the square outside our block. While we waited to deploy we kept our spirits up by singing songs in the corridor, often attracting strange looks from some of the staff! We deployed in the rain and tabbed to our chosen harbour location, once all that was set up we got into normal routine. Later that evening we went on a patrol to gather intelligence on the enemy. Patrolling at night is exciting, you feel very aware of your surroundings and strange noises you hear. We returned to the harbour and set up stag; not fun in the cold rain getting out of your warm sleeping bag to sit for an hour. Tuesday, after morning routine, we went on another patrol. This time we came across two enemies laying IEDs. Just as we approached there was a loud explosion; one of the IEDs they were laying went off. This meant our recce patrol became a casualty evacuation (casevac). We casevac’d the men to a helicopter landing site then continued on our patrol. On the way back we came under attack and had to return fire and peal into a nearby wood block. We regrouped then returned to the harbour, with a snap ambush injured both the ATO men. 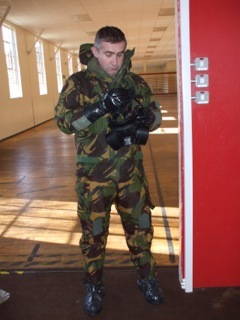 We had to rapidly get them into the FOB and then perform our battlefield casualty drills (BCD). What an exciting and eventful day. I was crying out for a good night’s sleep, but it wasn’t to be; more stag keeping watch in the sangars. 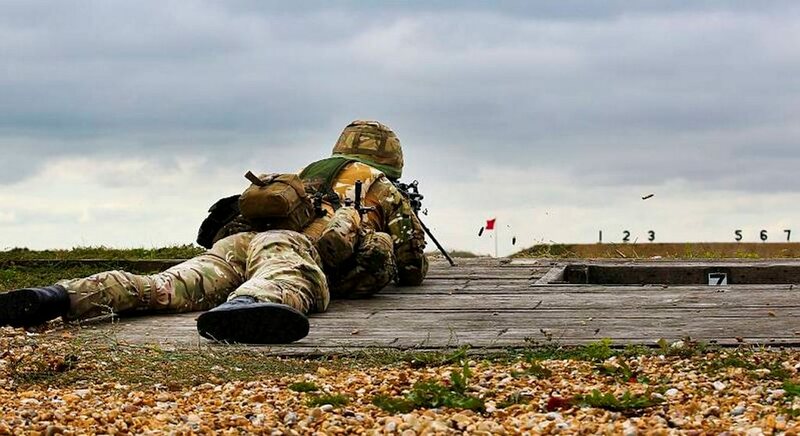 Following the recent activities and the enemy increasing in numbers in the area, our Troop Commander decided that at first light the next day we would commence more section attacks on enemy positions and eradicate them from the area. We woke at 0430 hours, prepped for battle then left the FOB. We had planned two section attacks. We patrolled out in arrow head formation, once the enemy made contact, we engaged. I was in the flanking fire team and like the previous section attack on Wednesday we comfortably eliminated the enemy. 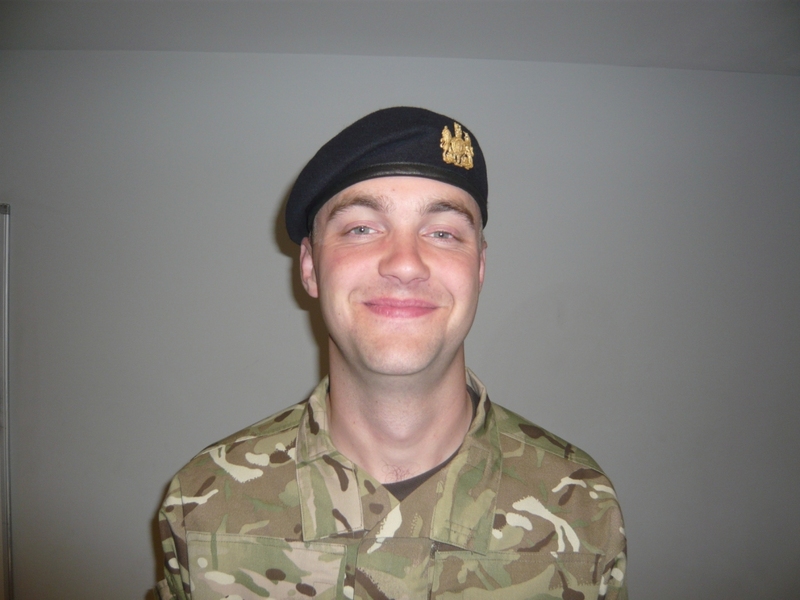 When we reached the last enemy position our Section Commander, Cpl Verth was injured in a blast. It was then our job to casevac him out of the area as quickly as possible. Cpl Verth is well built, and it took all our strength and determination to carry him to a safe location. Once we arrived we were faced with friendly causalities lying on the ground. We then had to administer first aid and carry out our BCDs. This was made harder because we were all starting to feel the physical strain. I dealt with the casualty with a severe limb loss. I followed my BCD booklet; applying a tourniquet and field dressing and I think I did quite well. Just when we thought the Exercise was over, we were shown two stretchers, each with a large dummy on. 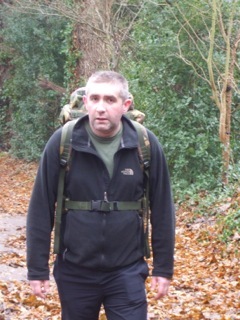 We had to, as a Troop, run the stretchers what felt like 2km. This was exhausting, but as soldiers we dug deep and with determination we finished the run. We had done it, we had finished FINAL FLING. 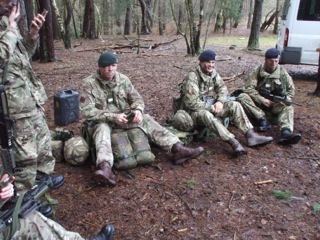 We returned to the FOB for a well earned meal of bacon, sausage, eggs and beans, and of course a large cup of tea. That had to be one of the best tasting meals I’d had, knowing we had completed FINAL FLING. Ex FINAL FLING had to be the most exhausting and exhilarating experience of my life. Not sure I’d do it any time soon, but never say never! 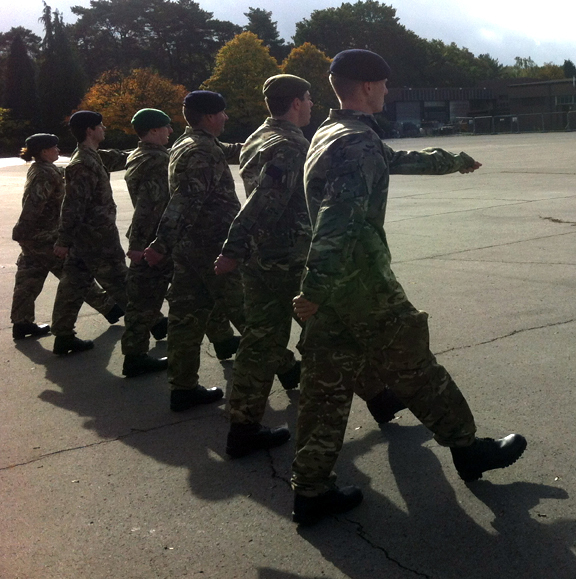 Our last week in Pirbright has finally arrived. We just have a lot of drill to learn for our Passing Out Parade on Friday and of course a lot of bulling to do. 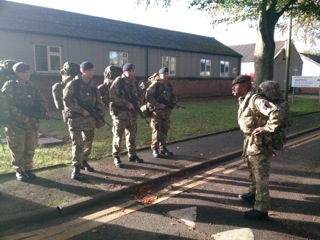 Monday to Thursday we learnt a lot of rifle drill, I learnt the drill, but on the day I won’t have to do rifle drill. 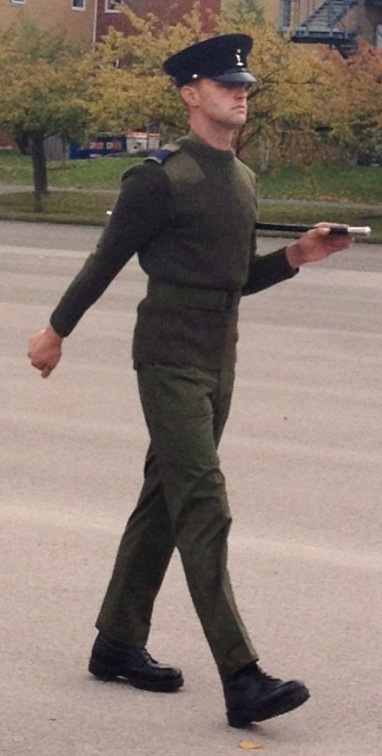 I won the award for Best at Drill, so instead I get to carry a stick and accompany the Colonel on the big day. 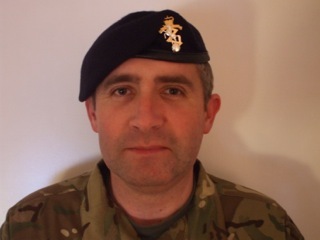 Wednesday evening we went to Sandes and had a cuppa and a burger with Cpl Verth, it was nice to have a relaxed chat with him as we were nearly soldiers in the British Army and no longer recruits. 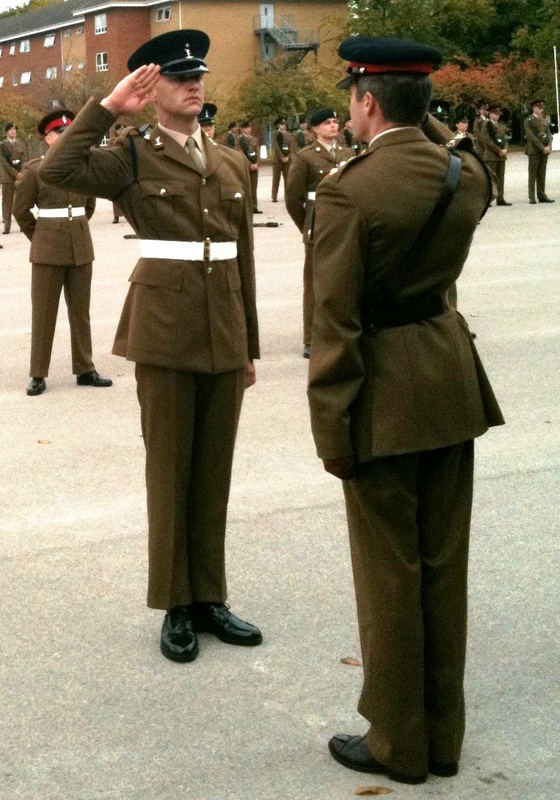 Thursday we had a dress rehearsal for pass off, it went well, but it didn’t stop me feeling apprehensive about the day. Friday had arrived; we got to wear our Section T-shirts to breakfast. The T-shirts we designed ourselves and have our Section on, a little emblem and have our Section Commander’s and our names on the rear. It felt really good wearing them, as we had seen so many Troops before us wearing them and looked forward to the day we would. We got dressed, put on our number two suits, our well bulled shoes and our caps and were ready to march onto the square. As the band started I felt nervous and excited. The moment we marched onto the square I couldn’t have been any prouder. The Parade went well; it was fantastic for all my family to see me on the square and also pick up my award. All that hard work I put in over the last 13 weeks had finally come to an end. I felt relieved it was all over. I was looking forward to spending some time with my family before starting my Phase 2 training. I am excited about my trade training at Blandford Forum in Dorset, but also a little sad to say goodbye to the lads of 2 Section who I have lived with for the last 14 weeks. I am so happy I did what I did in choosing to join the Army; I am part of another family. With that in mind I finally wish the lads of 2 Section all the best in their future careers; Horrix, Carr, Stanley, Hughes, Colvine, Doherty and of course my Section Commander and mentor Cpl Verth.